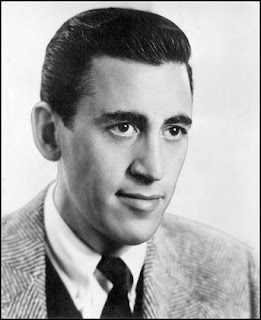 Jerome David Salinger has passed away on January 27th 2010 in his 91 in Cornish, New Hampshire, US. 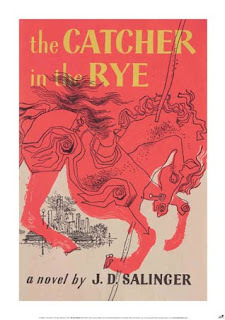 The debut of his literary works, “The Catcher In The Rye”, has become a huge controversy from his era and till now. Especially when the book was cited as a treasure box of answers, in the murder case of Mark David Chapman to the late Beatles’ legendary band member, John Lennon. It is obvious that Salinger has given some of his real life to Holden Caufield, the main character of the famous book. The miserable and broken soul of a lost young boy had received many rejections in many countries as it was considered too ‘intense’ and emerged the awakening of rebellious ‘punk’ souls of the youngsters. The story also uncovered the real world of being mature and the comparison of staying young and free. Salinger’s book was taken as the blame for the second time, for another murder attemp t to President Reagan in the late 1980s. Yet, the book has been one of the school curricula standard for English Literary subject, in other words, it’s a must-read book for high schoolers. It is still a mystery why “Catcher In The Rye” could lead some lost readers to commit homicide. As mysterious as the book, Salinger’s death is also a mystery. After his hidden life, no specific detail of his death has been reported. According to a neighbour, Salinger has written several stories unpublished as he wanted it that way, for his own consumption. He said that he adored to write and would like to devote himself to it. So, it is why he should be remembered as one of the great inspiring author, besides he made a significant change in 1920s literary evolution. Thanks for linking up with Friday Follow! I am now your blog follower. Happy weekend! I've been hearing a lot about this on the news. I live in New Hampshire and they are showing where he lived as a recluse for years. I read The Catcher In The Rye only a few years ago and I just don't get the controversy over it. I felt like I was missing something. I'm here from Friday Follow.. Salinger was definitely one of the greatest and most important authors of the 20th century. Your post is a nice little tribute. Running a bit late on Friday Follow! lol I'm your newest follower. I'm having a Kama Sutra Oil Collection Giveaway if you would like to enter. There aren't many entries so you have a great chance of winning! Welcome to the Friday Follow. I'm your newest follower. So glad to have you with us.